Jacob has to attend treatment every month at the Lurie's Children's Hospital in Chicago -- a place the Mathaeis have come to see as their home away from home. The 4-year-old was first admitted at into the hospital on Friday, Nov. 6, after being diagnosed with B-cell acute lymphoblastic leukemia. After several days in the oncology ward of the hospital, Jacob had to begin chemotherapy on Tuesday, Nov. 10. But while Jacob underwent cancer treatments, his siblings did something in his honor. "I wanted to do something to help because I knew I couldn't cure cancer because I'm not a doctor," said Jacob's older sister Brynn Matthaei. "I found out pop tabs help collect money, so I started raising them and asked my school first because a lot of the people I know and there's a lot of people at my school." The Ronald McDonald House organization collects pop can tabs that they take to recycling plants in exchange for thousands of dollars, which they use to help families like the Matthaei's. 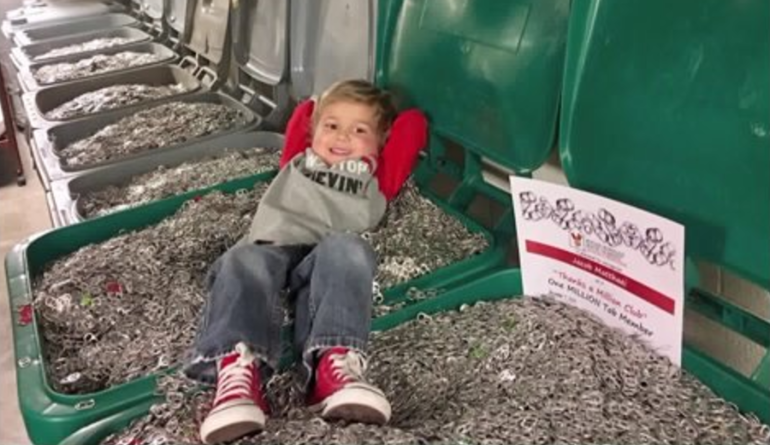 So, after Jacobs's siblings learned of this information, they set a goal to collect 1 million pop tabs. And they reached that goal in less than a year. 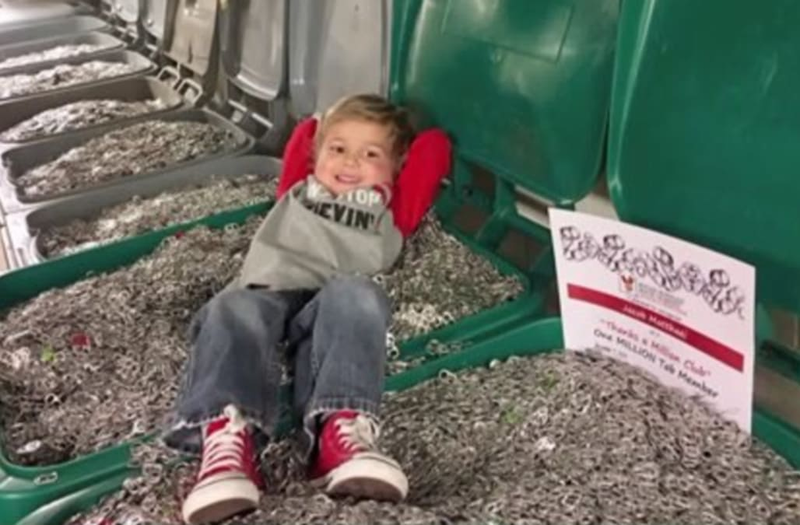 "790 pounds of pop tabs, so it's no small feat," said Lisa Mitchell, the Vice President of Programs at the Ronald McDOnald House. "It usually takes families years to collect that much." Jacob is still in remission and has more treatments to go.